High blood pressure, also known as hypertension, is more than a health condition; it is a disease. The blood pressure is our body’s means of showing the amount of tension within our blood vessels. High blood pressure indicates tenser blood vessels and the fact that the heart must work harder. Having high blood pressure leads to an increased risk of stroke and heart attack, and if left uncontrolled, it may also lead to kidney failure. If you want to learn how to lower blood pressure quickly, you will find plenty of advice; some methods will truly lower blood pressure fast, while others take longer to see results. They are all, however, worth the effort. The first thing to do when learning how to lower blood pressure fast is to understand your numbers. Healthy people should ideally have a blood pressure number around 120 over 80. 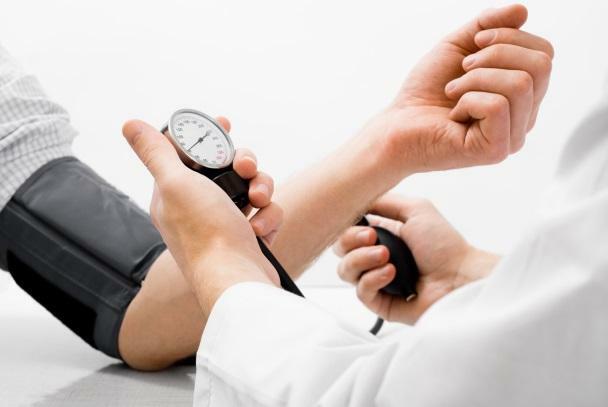 According to the American Medical Association, those who struggle with high blood pressure are okay as long as their target is 140 over 90 or lower. When learning how to lower blood pressure quickly, it is ideal to check your levels daily, especially if your numbers are high. Healthy people, however, will be fine checking their blood pressure just a few times each year. Snoring, obstructive sleep apnea, can also put extra stress on your body, leading to an increase in blood pressure. This sleep apnea leads to frequent pauses in your breathing, and it can cause an irregular heartbeat, or atrial fibrillation. If you wake up very tired and stay that way all day or your partner says you snore, you should talk to your doctor as they may recommend some methods to help with the snoring and high blood pressure. Most of the time, your blood pressure will rise as your weight increases. Even losing a small amount of weight like 10 pounds (4.5 kilos) may quickly reduce blood pressure. As a bonus, losing weight increases the effectiveness of your blood pressure medication. Talk to your doctor to determine your target weight and create a strategy for reaching it. In addition to losing weight, you need to pay attention to your waistline. Having too much weight by your waist can increase your risk of having high blood pressure. There is an increased risk for men with a waist measurement over 40 inches (102 centimeters) and women that measure over 35 inches (89 centimeters). For those with Asian heritage, these numbers are 36 inches (91 centimeters) for men and 32 inches (81 centimeters) for women. A great method of how to lower blood pressure quickly is getting regular physical activity. 30 to 60 minutes of daily activity can reduce your blood pressure 4 to 9 mm Hg. You will even notice a difference in just several weeks. Those with prehypertension (between 120 and 139 over 80 to 89) can reduce their risk of full-blown high blood pressure with regular exercise. Always talk to your doctor before starting an exercise program, as they can guide you and mention any restrictions. Even slightly reducing your sodium intake can lower your blood pressure by 2 to 8 mm Hg. To do this, try consuming 2,300 mg or less of sodium. You should aim for 1,500 mg or less daily if you are over 51, are African-American, or have chronic kidney disease, high blood pressure, or diabetes. This method of how to lower blood pressure quickly is easy. Try keeping a food diary so you can estimate your salt intake and keep track. Pay attention to labels, opt for low-sodium alternatives and avoid processed foods. Don’t add salt to your meals but relyon herbs and spices instead. Remember you don’t have to drastically cut your sodium intake right away. Do it slowly so your palate adjusts. Stress may temporarily increase your blood pressure, so one of the fastest answers to how to lower blood pressure quickly is to take steps to lower your stress. Try meditation, deep breathing, or yoga to lower your stress. Even exercising and eating well will lower stress, and help reduce blood pressure on their own. Instead of worrying about whether you are getting enough exercise to keep your blood pressure down, just go for a walk when you get the chance, such as on nice sunny days. Aim to walk for around 30 minutes each day, but even walking 10 minutes will make a difference. If you don’t want to walk, try swimming, cycling, or running. When you listen to music, you will boost your mood and lower blood pressure. The Netherland Heart Journal published a study showing that musicians have lower blood pressures as the somatosensory nerve activity helps the autonomic nervous system. So let music do you a favor. A healthy diet involves eating more unsaturated fats, such as omega 3 fatty acids, and none or few omega 6 fatty acids.It helps to swap out red meat for cold-water fish, such as salmon, sardines, or tuna because they are rich in omega 3. Also eat plenty of whole grains, fruits, vegetables, dairy and foods rich in potassium like bananas and apricots. If you smoke or drink, then you should quit as soon as possible. It also helps to stay away from secondhand smoke. Research has shown that smoking and drinking alcohol can significantly increase the risk of high blood pressure, leading to permanent blood vessel damage.